Here’s another Volkswagen-based car from Brazil. The Bianco was designed by Ottorino Bianco (who designed Formula 3 cars first). It debuted at the 1976 São Paolo Motor Show but would only last through 1979 when the company closed. It’s powered by a rear-mounted 1.6-liter Volkswagen flat-four. The body is plastic and fiberglass. It certainly looks like a kit car but they were actually built at a factory – by hand. About 20 per month were churned out. If you’ve never seen one these don’t worry – most people haven’t. 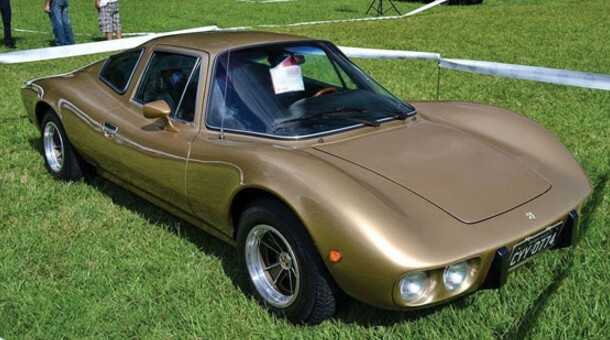 This car comes out of a Brazilian collection and has to be one of very few in the U.S. It should bring between $10,000-$20,000. Click here for more info and here for more from this sale. This entry was posted in Uncategorized and tagged 1979, auctions, auctions america, bianco, cars, classic cars, coupe, s by classiccarweekly. Bookmark the permalink.